The Hydrogeology Lab is part of the Oklahoma Geological Survey (OGS) and the Mewbourne College of Earth and Energy (MCEE) at The University of Oklahoma (OU). I am the group leader of the Water, Environmental, & Engineering Group	at the OGS. 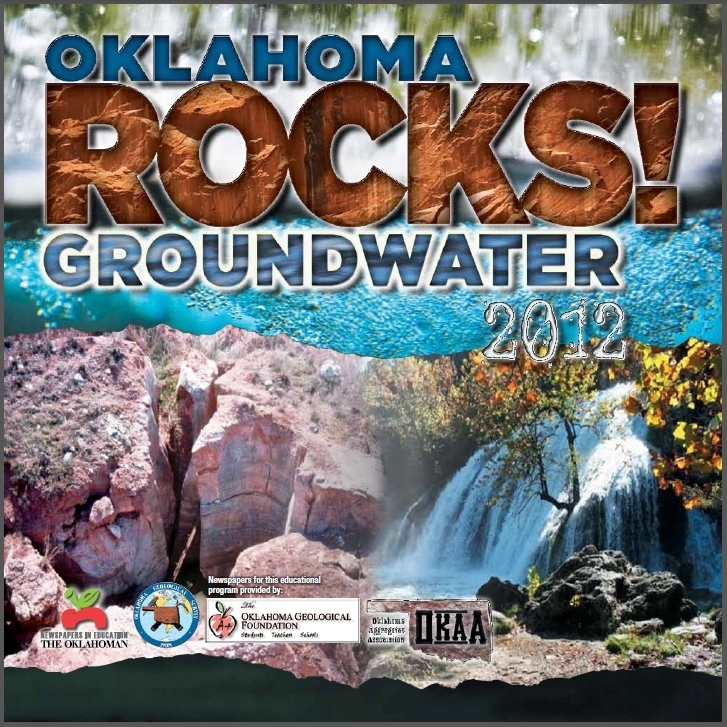 Projects originating from our group examine earth, water, and energy resources in the state of Oklahoma and beyond. Recent projects were focused on the Arbuckle Group	of Oklahoma and Kansas, the Antlers Formation/Aquifer of southern Oklahoma (aka Edwards/Trinity Group of Texas), and Contaminants of Emerging	Concern (CEC) in various water sources and wastewater streams. The majority of my research at OGS and OU examines the interplay between	water and energy resources. My research examines spatial and temporal trends to understand	(1)volumes of water that are co-produced with oil and gas, (2)formations, zones and plays	from which brine is co-produced, (3)management of saltwater, (4)injection of wastewater,	(5)correlation of injection with earthquakes, and (6)strategies for reduction or mitigation	of seismic hazard. I have presented this line of research in numerous public venues	and conferences including meetings of the Groundwater Protection Council (GWPC), Geological	Society of America (GSA), American Association of Petroleum Geologists (AAPG), National Ground Water Association (NGWA), National Association of Insurance Commissioners (NAIC), American Geophysical Union (AGU), and the National Academy of Science (NAS). To manage this breadth of research, I am organizing a Water and Energy Resources Consortium (WERC) at OU. The	WERC group has several goals, two of which are to: 1) Create a forum for communication between industry and the research community	regarding all water-energy issues. 2) Equip members with research findings that can be used to plan	for a challenging regulatory environment. Please contact me (Kyle.Murray@OU.edu) if you or your	company want to participate in the WERC group. I am a proponent of recycle and reuse of water that is co-produced with oil and	gas, so my research also evaluates produced water quality and treatment technologies. I have participated in several	workshops that address economically viable treatment technologies, and have formed partnerships with industry to implement	realistic strategies. 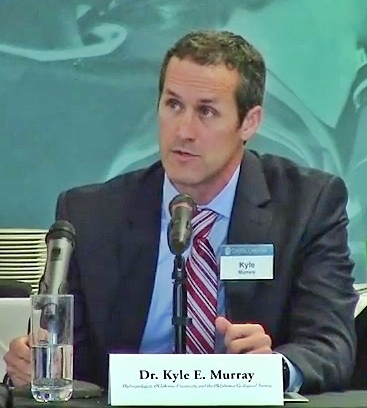 I also examine municipal water issues with an emphasis on the occurrence and toxicity of organic pollutants, also known as	Constituents of Emerging Concern (CEC) in water and wastewater, specifically Pharmaceuticals and Personal Care Products (PPCPs). Research on this topic	is designed to address public concerns about safety of drinking water, and to make wastewater treatment and reuse	an option for future water supply. In this line of research, we work closely with municipalities, consultants, and water suppliers. See my Academic CV or One-Page Infographic Resume, for a more detailed description of my background and experience. I welcome contact from new collaborators or potential students with an interest in developing geology, hydrogeology,	or environmental engineering research projects. McCray, J.E., Geza, M., Murray, K.E., Poeter, E.P., and Morgan, D.S., 2009. Modeling of onsite wastewater systems at the watershed scale: A user guide. IWA Publishing, London, U.K., ISBN 978-1-84339-528-7/1-84339-528-2, pp. 230.